Insider Tip: The Hunt For The Perfect Wine Glass | Xpeditr Inc.
Wine enthusiasts have an endless choice of accessories aimed at creating a luxurious wining experience; decanters of all shapes and sizes, cork removers, stoppers, coolers, vacuum seals, and more! It is easy to become overwhelmed. But when wine is on the agenda, all that is really needed is a corkscrew and the perfect wine glass. 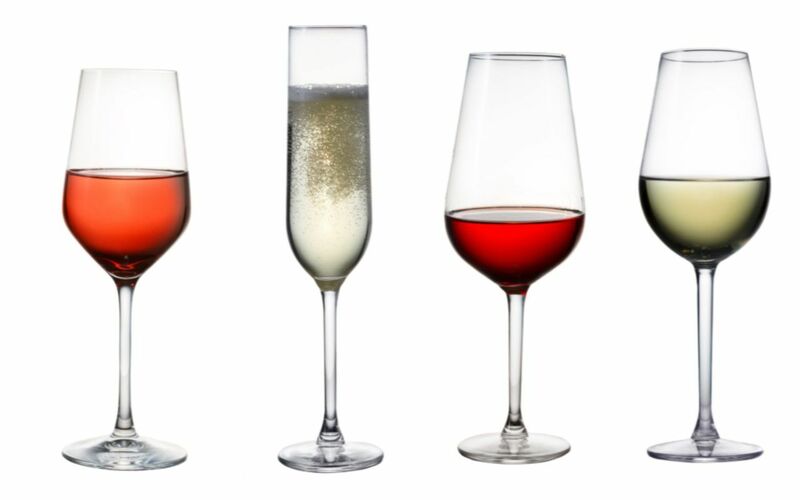 Now, this might sound simple, but stemware can be just as overwhelming with the multitude of options available; different sizes, designs and types aimed at boosting the aromatic bouquet of a fine wine. We’re here to help! Wine glasses are designed with specific grape varieties in mind, each glass is crafted to allow enough room to bring out the aroma, and the right shape to reach specific areas of the tongue to perfectly balance the tannin, fruit and acidic undertones of fine wines. The Rim – Wine glasses taper at the rim to varying degrees in order to capture the essence of the wine; glasses tailored to full bodied wines are wider, and taper less at the rim to allow the aromas to reach the nose and enhance the bouquet. The Bowl – Red wines have a fuller, bolder body that need a larger bowl to breath and allow bouquets to emerge. White wine, on the other hand, does not need as much space to aerate and glasses have a more classic U-shape. The Stem – The stem helps keep wines at an ideal temperature, and especially important for white wines best experienced chilled. Recently, tumblers or ‘stemless’ wine glasses have become popular. Although tumblers are a versatile glass that can also be used for cocktails, naysayers do not like the fact that holding a tumbler transfers body heat directly to the bowl and can alter the bouquet of fine wines. The Base – The perfect wine glass has a height, weight and size that is in perfect harmony (proportion), and a sturdy and balanced base. Red Wine Lovers – Choose a glass that complements your favourite bouquet; a fuller bowl for more complex aromas, and a taller glass for full-bodied, heavier wines. White Wine Lovers – Most white wine glasses have a classic U-shape but with a slight variation; those that taper at the rim are best for sweeter wines, but if you enjoy a bolder bouquet choose a taller straight rimed wine glass.